The Companies and Intellectual Properties Commission (CIPC) order issued to state asset manager the Public Investment Corporation to recoup R4.3bn from AYO Technology Solutions has been declared unlawful by the Pretoria High Court. In a judgment on Tuesday, the court ruled that the compliance notice issued by the CIPC in February to the PIC should be set aside as it "lacked legality". The compliance notice was for the PIC to recover its R4.3bn investment in the JSE-listed technology company. As part of the initial CIPC order, the PIC was also ordered to recover any interest that may have accrued on the investment within six months, Fin24 previously reported. On receiving a copy of the order in February AYO had said the notice was "incorrect for several reasons" and that the CIPC had incorrectly stated its revenues. The court application to set aside the compliance notice was brought by the PIC on an urgent basis, while the CIPC in turn also brought a counter application. A second urgent application, brought by AYO against the PIC and the CIPC, is pending. 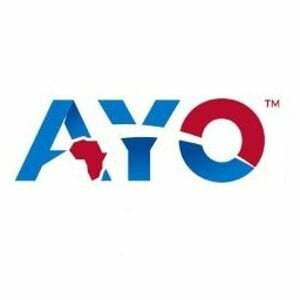 However, AYO said in a statement after the judgment, that in light of the court ruling its application is now moot. The PIC previously argued that while it and the CIPC were "aligned in terms of the need for PIC to recover any losses it may have suffered in relation to its investment in AYO" the original compliance notice did not afford it enough time to recover the investments. Last week, the CIPC and PIC reached an agreement, however, to have this timeframe extended to 60 days. But in his judgment, Judge CJ van der Westhuizen said the CIPC's "taking of the decision to issue the notice and the issuing thereof lacks legality as required by the Constitution and is hence reviewable". "In the instance of confirmation or modification of the notice, that section presupposes that a valid decision was taken and a valid notice of compliance was issued." Van der Westhuizen went on to say,"In my view, it follows that the issued notice of compliance is a nullity and stands to be set aside. "In view of my finding that the issued notice of compliance is a nullity, it does not require consideration of the other grounds upon which the issued notice is attacked. "It follows further that the counter application cannot succeed and stands to be dismissed. No valid notice was issued that could be modified." AYO technology solutions is linked to Cape Town businessman Iqbal Surve, who holds an indirect stake in the company. In a statement posted on SENS, it said, "On 26 March 2019, Judge Cornelius van der Westhuizen ruled in favour of the PIC and declared the Notice to be unlawful, and therefore of no force and effect. "Due to the ruling in favour of the PIC, the successful action brought by AYO is moot and was therefore removed from the roll. The cases were dismissed with costs." Meanwhile, the judicial commission of inquiry into the PIC, which is currently investigating the asset manager's governance and investment decisions, has focused on the decision by the PIC to take up the full initial public offering of AYO in December 2017. The commission, chaired by Justice Lex Mpati, has heard of the close relationship between former PIC CEO Dan Matjila and Surve who is also executive chairperson of Independent Media.